This could be described as the application of mechanical principles to a biological structure, (the human body), in formulating a treatment for a whole range of problems/pains possibly originating from the feet and caused by the way we walk. As you might imagine, this applies to more than just Heel Pain, Fore Foot Pain or Ankle Pain but may also have a bearing upon other symptoms at satellite sites remote from those of the foot. For example, Shin, Knee, Hip and Lower Back Pain may all have a larger or lesser degree of their origin at the feet. Classically, this examination involves looking at the way a person walks and stands. A non-weight bearing examination is included to examine the range of motion at different joints and the angular relationship of one joint to another. We also use a Force Plate, which gives a readout of pressure exerted by the body moving over each of the feet in relation to time and a video analysis of that person walking. From there, we usually take plaster casts/moulds of the feet and these are then sent to an orthotics lab with a prescription, specific to the individual for the manufacture of Bespoke Foot Orthotics. These are simply insoles that are moved from shoe to shoe to help correct and support the way that a patient walks and stands. I use a lab called Langer UK and have done for 12 years. They are a subsidiary of an American company that have been here in the UK for over 25 years. I use them because I have developed a good working relationship, they are probably the largest UK based lab and because I think it is important to support UK jobs. They also provide excellent orthotics. Each pair comes with a 2 Year Guarantee that is renewable and effectively extends the life of the orthotics. It provides excellent benefits for everyone but most particularly those under 18, as it is possible to get replacements under the “Outgrowth” section of the policy. 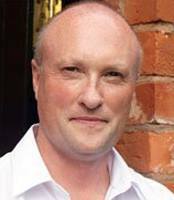 Mark is registered with the Society of Chiropodists and Podiatrists as well as the Health Profession's Council.